currently under construction at Binion Lane, Fort Bend. Sales for available units range in price from $354,990 to $489,563. Aliana unit sizes range from 2412 to 3684 square feet. Aliana has a total of 4 quick move-in homes currently for sale. 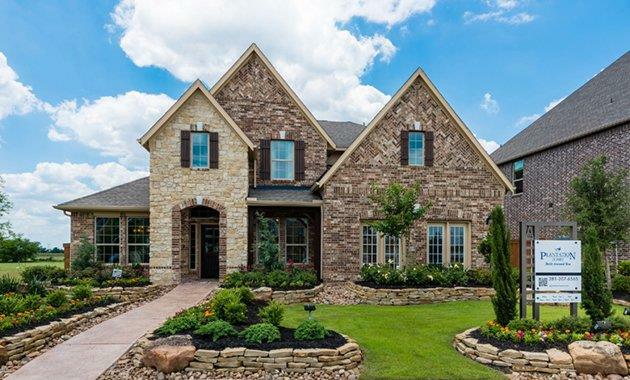 A master-planned community encompassing almost 2,000 acres, Aliana is conveniently located between SH 99 (Grand Parkway) and FM 1464, just west of Sugar Land, and only a 20 minute drive to the Galleria area. Unlike any other neighborhood in Houston, this resort-style community includes a centrally located Tuscan-style, resident-only clubhouse. Residents can enjoy the newly designed resort-style pool, which includes a children’s splash park, complete with slides, waterfalls, fountains, a lazy river, and a Jr. Olympic size pool with lane markers for competitive swimmers. Residents can also enjoy the new Madden Elementary school, conveniently located inside Aliana. A multitude of other exceptional amenities make Aliana an extraordinary place for you to Live Your Dreams in a new Plantation Home!